Clint is a fourth-year student at Eastern Kentucky University’s new Psy.D. program. In addition to researching therapy and assessment for the DHH community, he is also heavily involved in the LGBTQ community around Richmond and Lexington, Kentucky. Clint is in the process of coordinating an <a href="http://www.lgbtmentalhealthcare.org/">LGBTQ mental healthcare conference</a> scheduled for October. In the rare moments of downtime, you’ll find him reading comic books and playing video games. Typically, when therapists are asked to define “cultural competence” their response is usually race-based or location-based. Occasionally some include gender and sexual minorities, age, and ability. It’s rare that clinicians and therapists with little experience in deafness consider “Deaf” as a culture. The topic of deafness and Deaf culture is vast, with many aspects to consider. It would be impossible to cover everything in only a few blog posts. 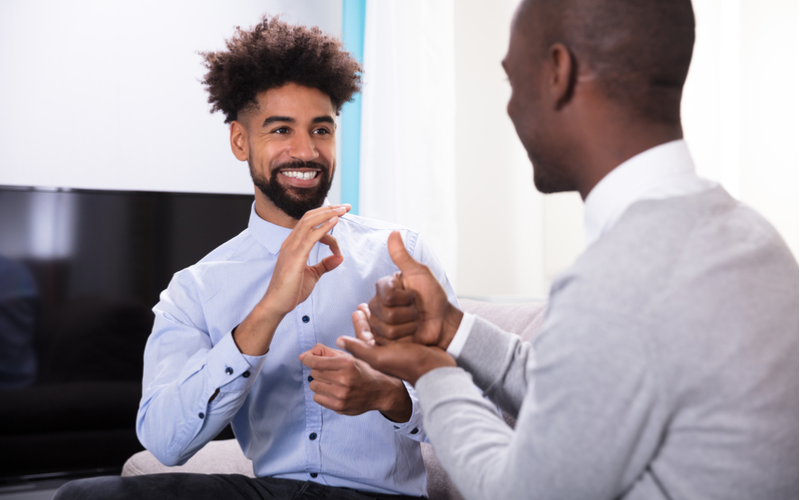 This article is the first of a series about working with Deaf and Hard-of-Hearing (DHH) clients is intended as a starting point for clinicians to begin their own research into deafness and Deaf culture.